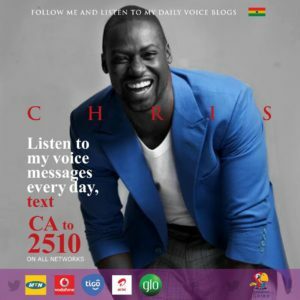 Hello there, I’m Chris Attoh, a movie actor. Do you know that many of your close friends are also my friends on InstaVoice Celeb? They follow me daily and listen to exclusive voice messages from me. You can also join this elite group of InstaVoice followers for updates about me that social media and other media won’t know. All you have to do is follow my service daily. Let’s all be friends on InstaVoice. See below and subscribe now. To hear my daily voice blog, in Ghana, SMS the keyword, ‘Start CA’, to 2510 on all networks. 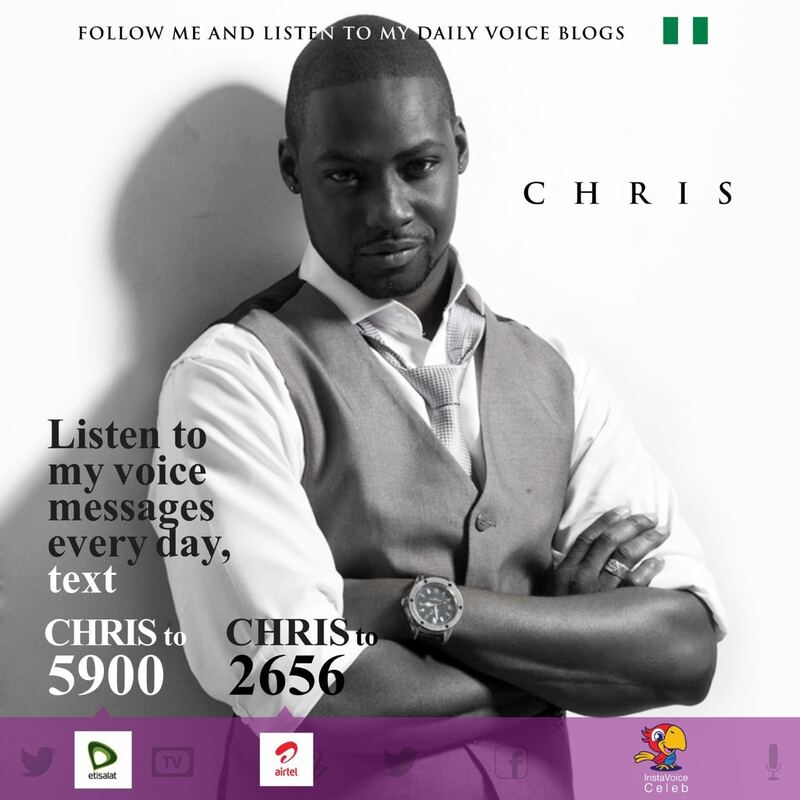 In Nigeria, text “Chris Attoh” to 2656 on Airtel, and 5900 on Etisalat to listen to Chris Attoh. To add to this a lucky subscriber will get a chance to talk to me every month from those who subscribe to my Daily Voice Blogs.